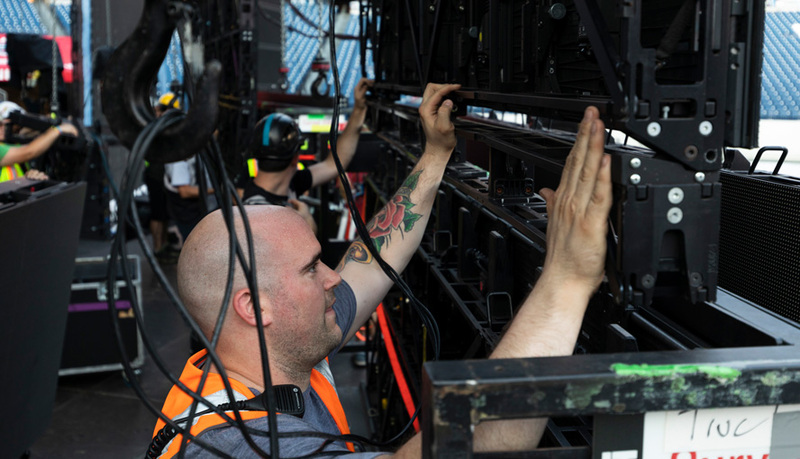 Colonel Tom is the video production vendor for Ed Sheeran’s Divide worldwide stadium tour. 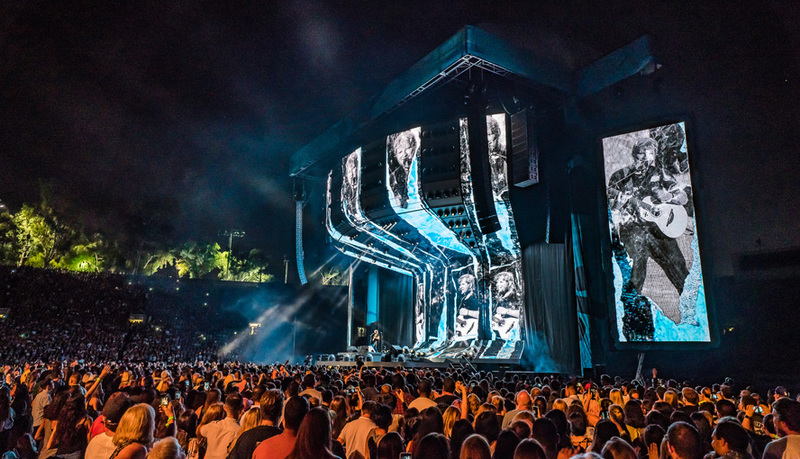 We are grateful to be the provider of LED screens and backend control for Ed Sheeran’s extremely successful worldwide Divide tour. 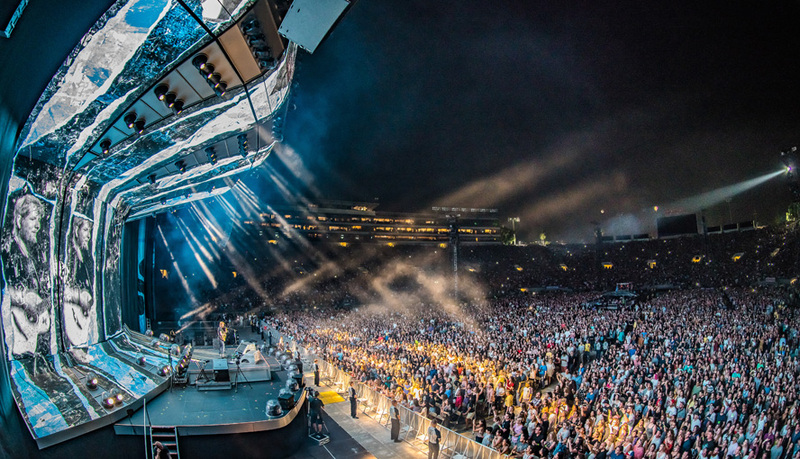 In 2018 the tour transitioned from sold-out arenas to sold-out stadiums, bringing new challenges and upgrades to the rig. 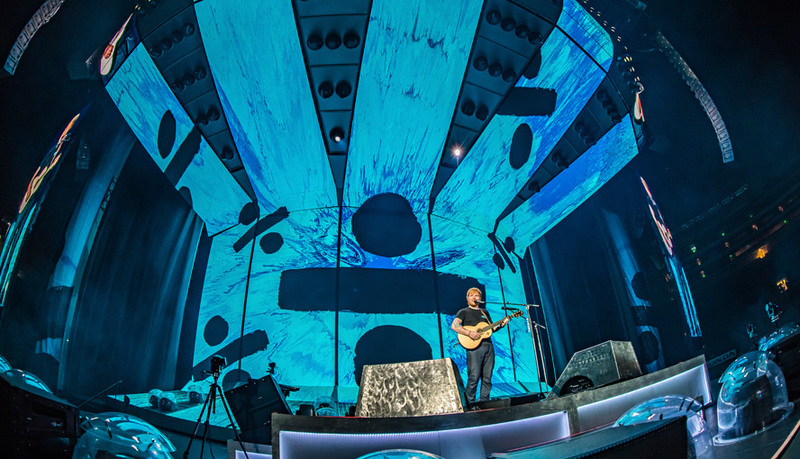 We worked closely with Mark Cunniffe, the show’s designer, to create an experience that worked well with Ed’s unique style and at the same time making the production incredibly manageable. 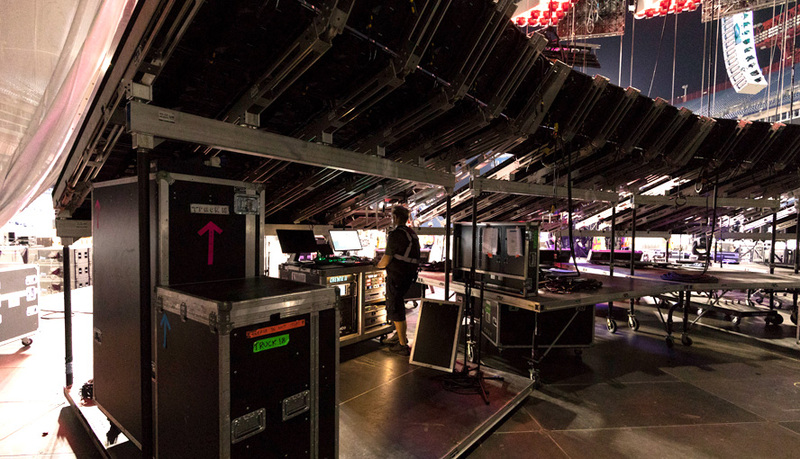 This feat took meticulous planning to make sure every aspect was thought out correctly. 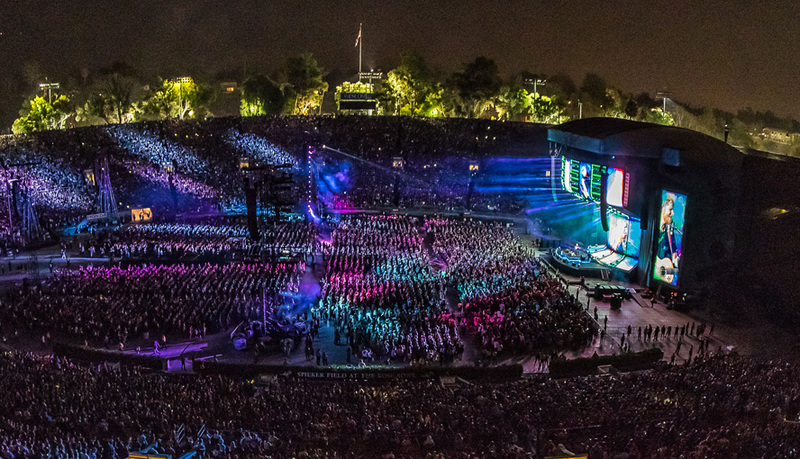 Something our experienced team excels at doing. 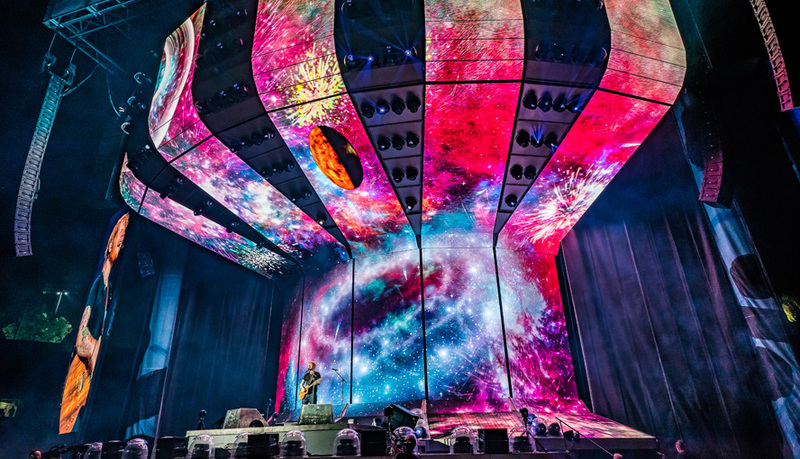 Cunniffe designed the show to be shaped like a goblet as to direct the eye down to the center of the stage, and ultimately to Ed, who performs alone on stage. This design creates a near 180° experience. 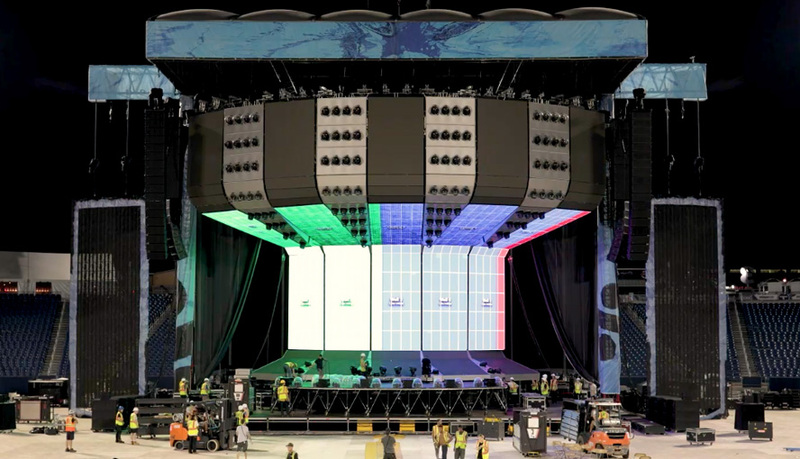 A total of 400 ROE Visual Carbon CB5 full panels and 175 half-panels are used to cover the entire goblet-shaped structure nearly. The IMAG configuration consists of 560 KTL Flyer 12mm tiles. 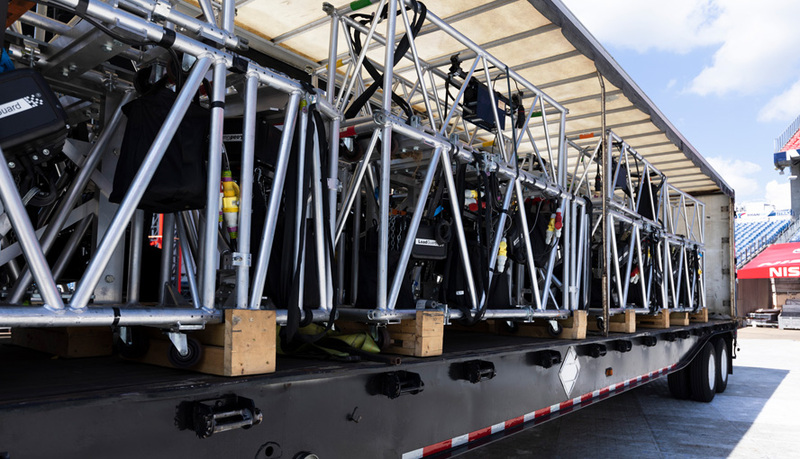 This setup gives the content designers a vast canvas to work with as they created stunning visuals to compliment the show. 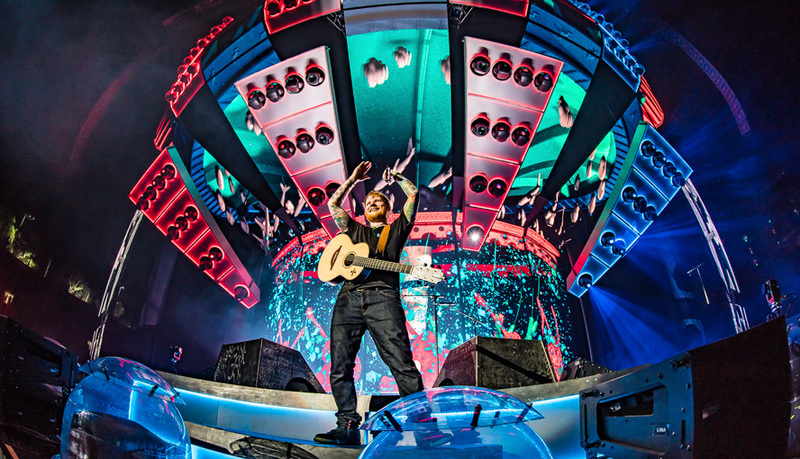 Ed Sheeran’s tour continues in 2019 with shows in Asia, South America, Africa, and Europe.